Experience the best in Northern Thai Lanna hospitality. 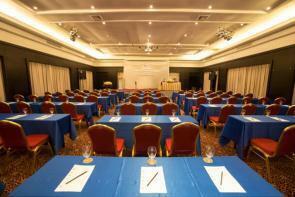 The Imperial Mae Ping Hotel is ideally located in central Chiang Mai, Thailand. 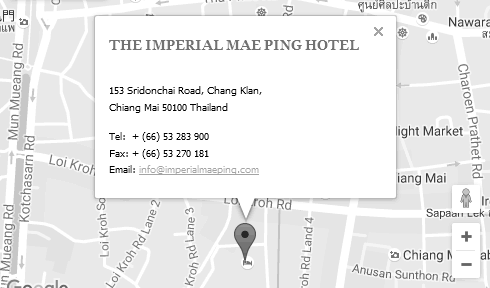 The Imperial Mae Ping Hotel features 371 fully furnished guest rooms with distinctive, elegant and luxurious Lanna décor befitting the rich heritage of this glorious region. Popular excursions from the hotel in central Chiang Mai include a boat trip along the Mae Ping River and an enlightened bicycle ride through the local areas and bustling markets, including Chiang Mai’s Ton Lamyai flower market and Worarot market. 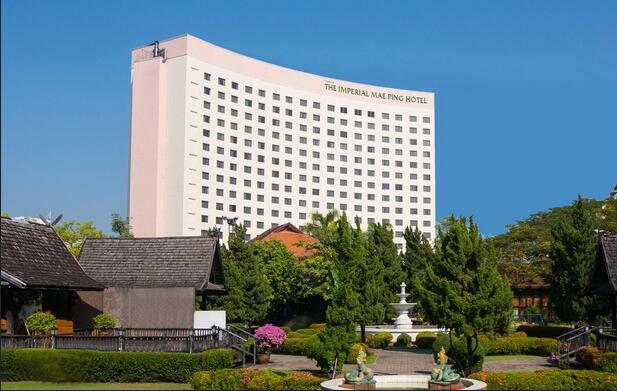 The Imperial Mae Ping Hotel is ideally located in the heart of Chiang Mai next to the Mae Ping River and only 15 minutes drive from Chiang Mai International Airport; 10 minutes drive from Chiang Mai Railway Station; a few minutes stroll from the shopping area of Night Bazaar.